One of the strongest and most durable hardwood flooring options Brazilian walnut, is a great option for finding a floor that will last as long as your home does. 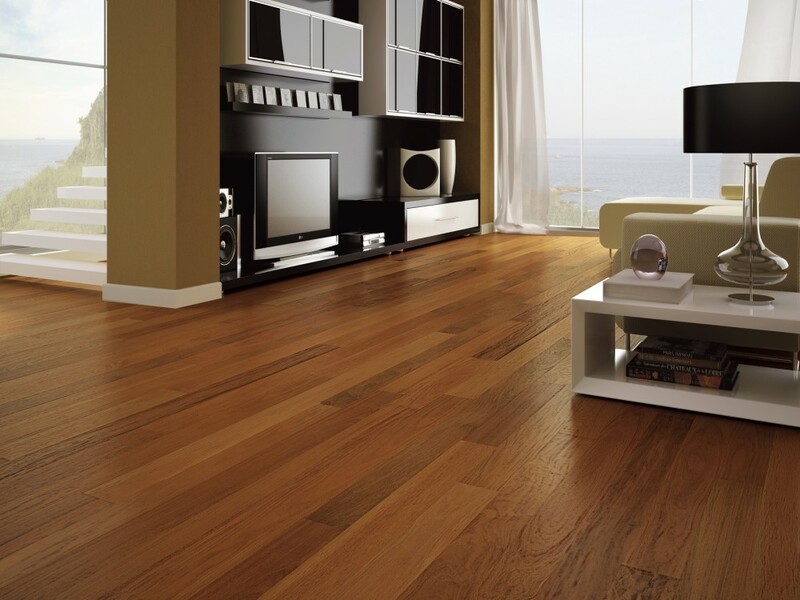 With colors that vary from rich brown to yellowy oranges, this unique exotic wood is stunning on a floor. Today’s focus is on Brazilian Walnut and all it has to offer as a flooring option. Brazilian walnut is more commonly know as Ipe, an incredibly hard wood that is highly resistant to insects that love to bore through trees. This is an excellent bonus, as you will never have to worry about damage related directly to insects when choosing this hardwood option for your home. Amazingly enough the resistances do not stop with bugs but also includes fungi. Mold is a form of fungi which means, yes you guessed it, it will be impossible for mold to grow on it. Being such a strong natural hardwood material, many commercial applications choose this species for the resistance benefits as well as it’s incredible strengths. I will wear beautifully because it can handle a large amount of foot traffic. So, as you can imagine, you don’t need to get extreme to take care of it in you home where the foot traffic is minimal. The pricing for this hardwood flooring is a bit higher than others, but that is because you will be getting a very tough and exotic hardwood that will last your home for many years to come. It is 3 times harder than oak flooring and pretty heavy, so shipping will be a little more than other hardwoods as well. Installation is not really something that you should try to first time DIY. Many of the hardest species of wood floors are rather difficult when it comes to cutting, nailing, etc. during installation. Special tools are required and it would definitely behoove you to go with a professional install. It will save you a fair amount of time and aggravation. Click Here to View Brazilian Walnut Hardwood Flooring Choices! Ash Makes A Beautiful Hardwood Floor! Next story Basement Flooring What to Choose?